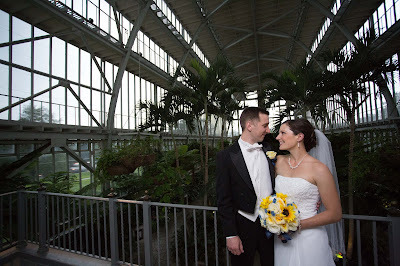 Having a wedding ceremony at the Jewel Box in Forest Park requires a lot of planning. Couples are given 90 minutes to show up, decorate, perform the ceremony, release the guests for a grand exit, and have time for formal portraits with family members. There is no coordinator present, just someone to open the doors, set up the chairs - a custodian. Carolyn Burke - Wedding Liaison has been a Ceremony Coordinator and/or Wedding Officiant at The Jewel Box many times and knows the tricks of the trade.